See the thundering V8 Superstocks do battle at the TWS Auckland Superstock Championship at Waikaraka Park Speedway on Saturday 13th of April. 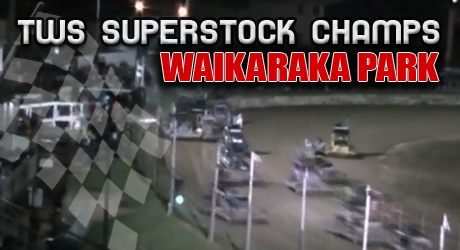 That’s right, it’s the TWS Auckland Superstock Champs on Saturday 13th of April at Waikaraka Park Speedway. See the V8 Superstocks battling like you’ve never seen before. Who will win the Rees Shield? Can the Auckland Alleycats retain it or will it be stolen from their grasps by the Meeanee Maulders from the Hawkes Bay? 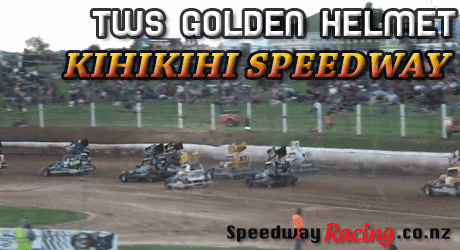 There’s also Super Saloons, Six Shooter Sprintcars, and the Streetstock 290s (with 30 streetstocks from Auckland, Hamilton, Rotorua, Gisborne, and Palmerston North). Note: Rider line-ups, timings and programmed entertainment subject to change. What: Superstocks, Stockcars, Ministocks, Streetstocks, Saloons, Six Shooters, Solos. 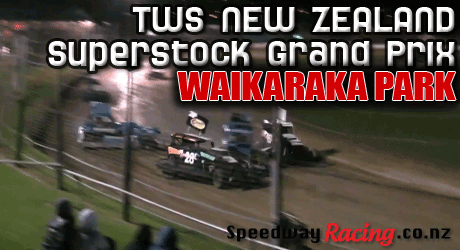 That’s right, it’s the TWS Auckland Superstock Champs on Saturday 17th of November at Waikaraka Park. Update: Looking for the 2013 Auckland Superstock Champs instead? 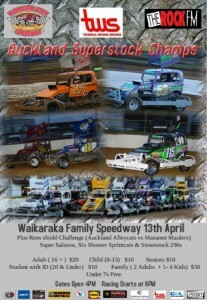 Bring the whole family to witness 20 something Superstocks battling it out for the title at Waikaraka Family Speedway. Proudly spoonsored by Technical Welding Services (TWS), this is an event not to be missed. There’s also Streetstocks from Christchurch, Hamilton, Rotorua, and Gisborne, along with Stockcars, Saloons, Streetstocks, Modifieds, Sidecars and Ministocks. 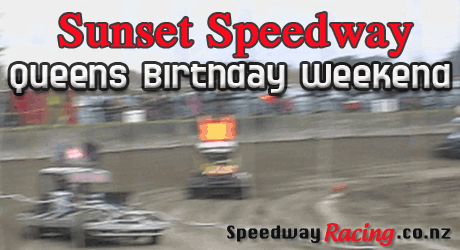 Get along this Queen’s Birthday weekend to Sunset Speedway Westport. Plenty of action with Saloons, Streetstocks, TQs, Productions, Sidechairs, Stocks, Adult Ministocks,Youth Ministocks, Modified Sprints and Solos over this Saturday and Sunday. Saloons: 791e Rob Flood.5e Mark Pengelly. 28y Steve Wockner.27e Paul Cambie.43y Paul Power.17e Phillip Best. 77y Mark McIntyre. Productions.45 Jack Cockburn. 19y Darren Mikkelson. 77e David Allan. 6e.Brett Allan. 33y Dave Alford. Sidechairs.73c.Lionel Green. 95i Erwin Tree. 17n Sam Satherly. 56n Knuckle Hill. Youth M.Stks.91c Harley Robb.86n Brittany Carpenter. 16y Cody Wilson.17y Emma Simpson.98n.Shawn Pomeroy.9y Nathan Martin.68y Tyler Getley.6n.Bayley Corkill.13n Dylan Clark. Modified Sprints. 19c. Nigel Jackson. 42c Tom Lumsden.3 names TBC. Solos.James Thomson.5 Other names still coming. 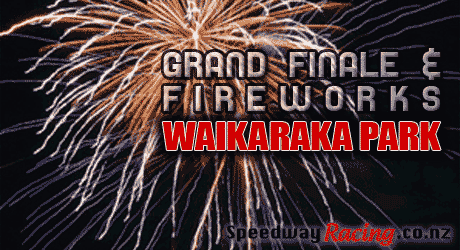 Grand Finale & Fireworks, Stockcar Teams race Rees Shield Huntly v Auckland and more. New Zealand’s top superstock drivers compete on the Waikaraka Park oval for the 2012 NZ Superstock Grand Prix title. Smashfest is without question NZ’s premier Demo Derby event; you won’t find anything that compares anywhere in the world. Smashfest has been so popular over the last few years the stadium has been packed to capacity and thousands without pre-purchased tickets have been turned away. We’re over having to deny anyone a piece of the action. So for the first time ever we’re holding TWO different shows over two nights, Fri 22nd and Sat 23rd April! Two nights of fender bending spectacular action will include so much adrenalin-packed metal crunching carnage both spectators and participants won’t want to blink. This Easter bring your family and friends to watch the pure unadulterated fun, or drive in the Smashfest bash for cash and be the last car moving to win $10,000! Want can you expect to see at Smashfest this year? Stunts by Stuntcorp including ‘The Dominos of Death’ , 1500 Horsepower Monster truck & 3 chances to win a ride, Teams Demolition Derby racing, Jalopy Racing, Gauntlet Challenge, Pyros, Smashfest Streetstock Streetwars Champs, The V8 Executioner Car, Outlaw V8 burn-out Competition, Clowns & Lollies, Roll-overs & Ramp Jumps, KidsFest Trolley Derby, Clowns & Lollies. Stunt by Stuntcorp featuring a Massive Hollywood Style barrel roll ramp jump through a caravan, Monster Truck, Teams Derby Finals, Smashfest Streetstock Streetwars Finals, Gaunlet Challenge, Massive Fireworks & Pyro Display, V8 Outlaw burn-out Comp finals, The V8 Executioner Car, Roll-overs & Ramp Jumps, World Record attempt Demolition Derby. 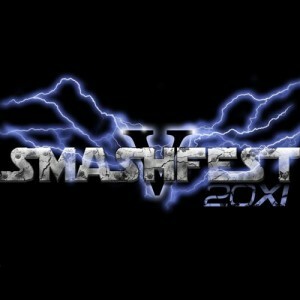 For more information on Smashfest see smashfest.co.nz and get your tickets NOW from iticket.co.nz before they sell out!